Are they related: Vitamin Deficiency and Hair Loss? Learn which vitamins (when deficient) can lead to hair loss. Hair loss is embarrassing, and not always something that is easy to treat, but the truth of the matter is, hair loss is something that millions of people all over the world experience. There are many reasons why people can start losing hair, and one of these reasons is that they have vitamin deficiencies -- they are not getting the nutrients they need for healthy hair growth. Hair follicles need to have certain vitamins in order to be healthy and allow hair to grow, and without these hair loss vitamins, this just can’t happen. A vitamin is an organic compound necessary for the proper biochemical functioning of an organism in very small amounts even though it cannot be produced in sufficient amount in the organism and has to be taken from diets and supplements. The body can produce vitamins from their precursors in food (for example, Vitamin A from beta carotene). Some other vitamins have special sites of syntheses, for example Vitamin K is produced by the microorganisms in the gut and Vitamin D is produced in the skin through the catalysis of the ultraviolet radiation of sunlight. There are 13 recognized vitamins and each is really a group of related compounds. 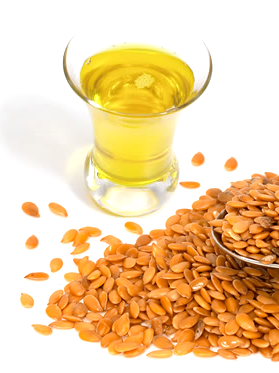 For example, Vitamin E is a family of 8 similar tocopherols and tocotrienols while Vitamin A includes compounds belonging to the retinal, retinol and carotenoid subgroups. 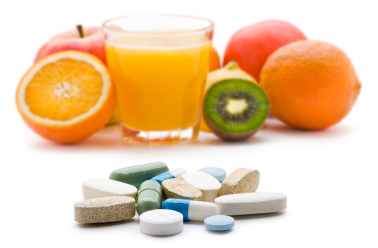 Vitamins have different important functions in the body. While Vitamin C and Vitamin E are known antioxidants, the B vitamins are necessary for enzyme functioning in biochemical reactions. Each vitamin has a recommended dietary allowance which is the expected amount that we must find in our food or through supplement. Staying below this recommended daily intake for long can easily lead to a deficiency in the vitamin. Vitamin deficiencies are classified into 2: primary and secondary. Primary deficiency describes a situation where less than required amount of a vitamin is obtained from diet. Secondary deficiency describes an inability to absorb adequate amount of a vitamin due to underlying disease state, drug interaction or lifestyle. There are also compounds called anti-vitamins that inhibit the absorption or activity of specific vitamins. For example, avidin, a protein found in egg whites is known to reduce the absorption of biotin or Vitamin B7 while pyrithyamine competes with thiamine or Vitamin B1 since their structures are similar. These so-called anti-vitamins can also lead to vitamin deficiencies. Each vitamin deficiency is associated with a single debilitating condition. For example, Vitamin A deficiency is associated with night-blindness; Vitamin B1 with beri-beri; B3 with pellagra; C with scurvy; and D with rickets. However, vitamin deficiencies seldom lead to such single ailments. In fact, each vitamin deficiency produces a disease complex which can be detected by certain early signs. Even before the full manifestation of certain vitamin deficiencies, specific signs can mark the progression of a vitamin deficiency. One such important sign is hair loss. Since the hair and skin are external, they provide an important early representation of systemic anomalies. When your hair starts falling off, vitamin deficiencies should be one of the first causes you consider. If you do not follow a healthy, well balanced diet, there are going to be a number of consequences, one of which could be hair loss. There are also occasions when some people have metabolism issues, which can also lead to vitamin deficiencies, but usually a poor diet is the culprit. The vitamins that are particularly important to healthy hair are vitamins A, B, C, D and E.
This vitamin helps to keep hair moist. It aids in the secretion of sebum into the scalp as it is needed, which keeps the hair from becoming dry and brittle, which can often be the start of hair loss. Vitamin A is also an anti-oxidant. Care should be taken with Vitamin A supplementation (especially retinoid) for hair loss since excessive amounts of vitamin A, a state called Hypervitaminosis A is also known to lead to hair loss. There are four types of B vitamins that we need in order to have healthy hair. These are biotin, para amino benzoic acid, vitamin B6 and inositol. Two healthy foods you can eat to make sure that you are getting enough B vitamins are milk (low or non-fat is best to avoid getting too much unhealthy fat in your diet) and egg yolks. 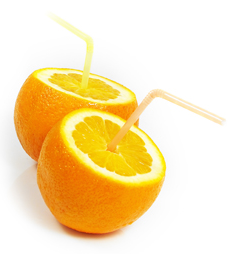 Vitamin C or L-ascorbic acid is known to be important to skin health. It is responsible for the formation of collagen, which the skin is made of. Therefore, Vitamin C deficiency leads to scurvy, a manifestation of weakened collage in the skin. In addition, Vitamin C is known to be important to the production of tyrosine in the body, and tyrosine is needed to give strength to hair strands and nourish the cells of hair follicles. For both reasons, Vitamin C deficiency causes scurvy and the falling off of hair. A recent study has established a link between Vitamin C supplementation and hair regrowth. This activity is credited to the ability of the vitamin to inhibit the expression of a gene in the papilla cells leading to blockage of androgenic activity on the cells of the hair follicles. The recommended daily intake of Vitamin C is 90 mg but to address a deficiency in the vitamin, supplementation with 200 mg daily is advised. Vitamin D deficiency is rare since the vitamin D is usually used to fortified dairy products. Another reason for this is that sunlight is all that is required for the synthesis of vitamin D.
However, in those who do not get enough of these sources of the vitamin, rickets may develop as a sign of the deficiency. Other signs of Vitamin D deficiency include a reduction in calcium absorption and hair loss. 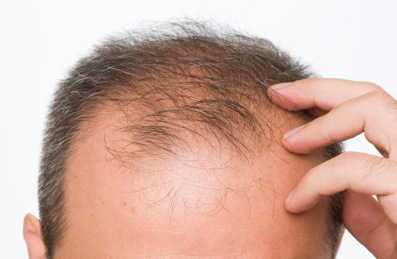 Vitamin D deficiency causes hair loss through a disruption of the hair growth circle. The deficiency shortens the anagen phase and prolongs or speeds the onset of telogen and catagen phases. To reverse hair loss due to Vitamin D deficiency, you need more exposure to sunlight especially early in the morning. Alternatively, you can take more fortified dairy products. If you are not receiving enough from these sources, then you should consider Vitamin D supplements. Daily doses between 4,000 and 10,000 IU are considered safe since the body can produce double that from ultraviolet exposure. This vitamin increases blood circulation, especially near the scalp. This is necessary for healthy hair follicles, as it provides them with enough oxygen. The follicles are better able to regenerate, and hair will continue to grow. A deficiency of vitamin E can cause the opposite to happen. Not only do we need to have vitamins for our overall health, we need to have them for the health of our hair. There are many vitamin deficiencies that can lead to hair loss. For instance, without enough Biotin (also referred to as vitamin H) in our diets, hair growth can be inhibited. Enough Biotin can prevent further hair loss. A lack of Pantothenic Acid, which is also known as Calcium Pantothenate can play a huge role in the health of your hair. Having plenty of this vitamin in your diet can turn grey hair back to a darker color, and even reverse hair loss. In addition to vitamins, there are many other nutrients you should have in your diet to promote healthy hair growth. For instance, essential fatty acids, which can be found in flaxseed oil, salmon oil and primrose oil, will help to improve the texture of your hair and keep it from becoming brittle. Kelp has minerals that help to promote hair growth. When your diet includes all of the vitamins and other nutrients you need for your overall good health, you can be guaranteed that you will also have healthier hair, and you can prevent hair loss.